For garage door replacement services, the company to trust in Bowling Green, Kentucky, is 31-W Insulation. 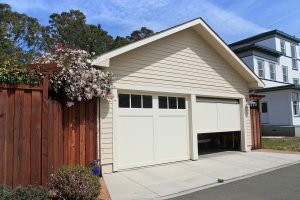 As the leading provider of home improvement products and services in the Southeast since 1972, we have the experience you can count on to install your new garage door masterfully. We are a family-owned business that understands the variety of ways we use our garages, so we go to great lengths to ensure complete customer satisfaction with every facet of our replacement service. You’ll also be able to choose from a range of insulation options to help you manage your home’s temperature. So, homeowners who use their garages as living spaces will appreciate our multi-layer insulation options. When you’re ready for a garage door replacement, contact 31-W insulation to schedule a free consultation at your Bowling Green, KY, home.